For their most recent release, Hurricane Wind (2017), the Adam Ezra Group (AEG) fanbase turned the full power of its collective hurricane wind outward, and shared the music for free with over 5000 people over the course of two weeks. Such a groundswell of activity wouldn’t have been possible even a few years ago; Hurricane Wind, to AEG, represents both a celebration and reaffirmation of how remarkably that community has grown. 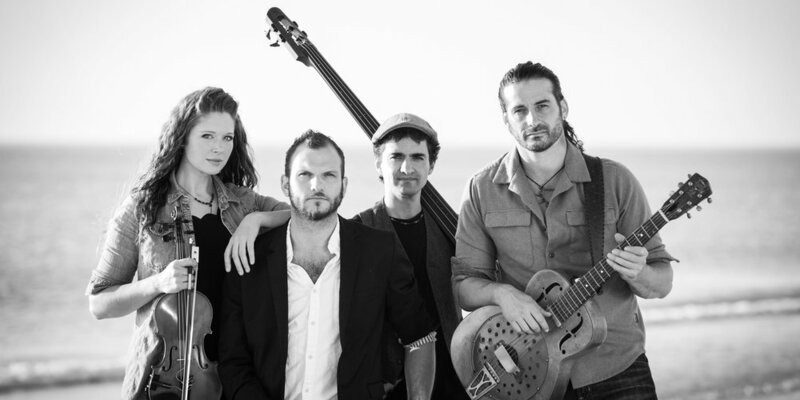 A tireless touring outfit, the Adam Ezra Group is constantly on the road, often devoting their time to local charities and always going out of their way to connect with fans. They are creating a powerful, inclusive community around AEG shows that is beginning to be compared to a social-movement as much as a traditional music fan-base. It’s this dedication to fans that inspired the annual “Get Folked Concert Tour” in which Ezra ventures solo/acoustic to the homes of at least 40 fans in as many days and almost as many states to play house concerts throughout January and February. Ezra started his own non-profit organization called RallySound to better support fans and activists dedicated to making the world a better place. The proceeds from the video for the single “Let Your Hair Down” are being donated toward micro-grants for cancer patients struggling to make ends meet while in treatment. AEG’s grassroots efforts recently caught the eye of John Oates, of Hall & Oates fame. For the past few years, Ezra and Oates have been regular writing partners, meeting up in Nashville between tours. Three of their co-writes are featured on Hurricane Wind, and Oates himself joined Ezra in the studio to sing and play on the album. They performed their first co-written song, “All I Am,“ live in-studio as an acoustic duet. Even amid ballooning success, Ezra says it’s been not just easy, but natural for AEG to stay dedicated to its mission and true to its humble roots. Perhaps no song sums this up more than a fan favorite, selected to anchor the new album. Called "I Believe," it’s a gorgeously layered, nakedly emotional ode to the long path they’ve already traveled as a community – and to the wide-open road ahead.